Rosie is a 15 year old white girl growing up in a remote Australian town where she lives in an Aboriginal community. Her childhood best friend, Nona, is Aboriginal. In fact, Nona is considered her sister as Rosie’s family has been adopted Nona’s Aboriginal family. Nona moved away at age nine and Rosie goes to the local high school where she is trying her hardest to fit in with the ‘cool’ girls. To complicate things further, Rosie has a crush on her best friend’s older brother, Nick. When Nona turns up back in town and starts at Rosie’s school things quickly get messy. Rosie must face up to the fact that her white friends don’t understand the culture she comes from but now tries to hide from. She slowly works out that her friends are shallow and racist; however it takes a tragedy for her to finally admit this to herself. 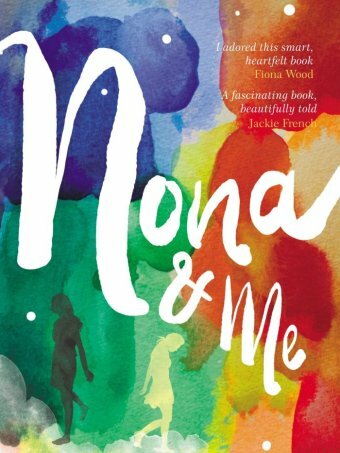 Rosie struggles to be a part of both cultures and she learns lessons about trying to fit in; what makes a true friendship; falling in love; and having passionate (divorced) parents who are both heavily involved in Aboriginal communities. But most of all Rosie learns that you must stand up for what you believe in. Set in 2007 at the height of the Northern Territory Intervention, and the subsequent apology to Indigenous people by Kevin Rudd this book provides both a white person and an Aboriginal perspective to a complex situation that is moving and at times heartbreaking. Highly recommended for 14+ readers. Postscript: I was not sent this book as a review copy but loved it and thought it was worthwhile sharing this review so others could experience this beautifully written debut novel that depicts what plays out in varying ways across rural and remote Aboriginal communities. It stuck with me well past the last page.